Make a Special Trip to Map Out Your Store. 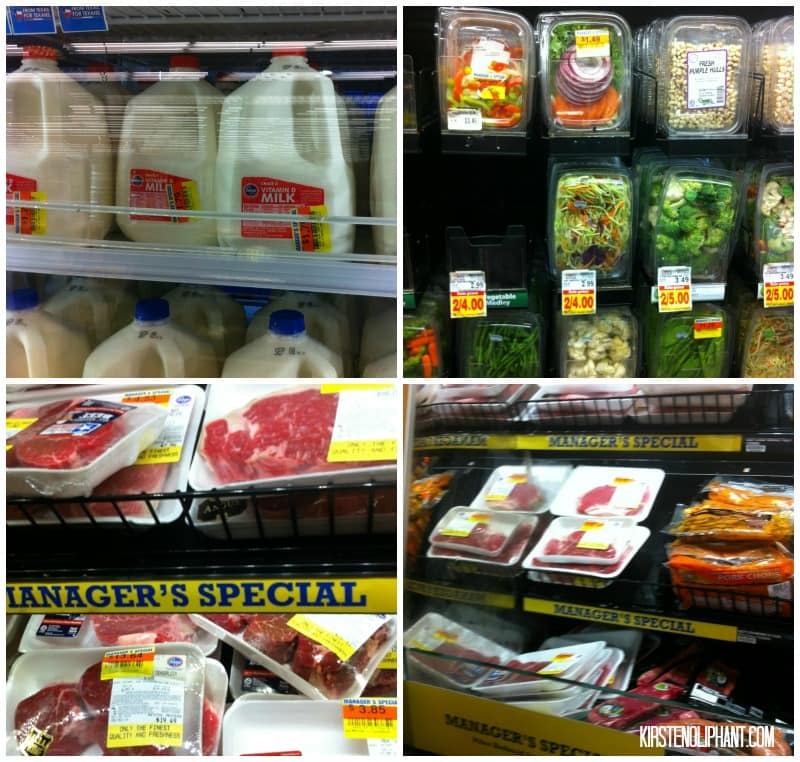 Take a trip to Kroger (without kids, if you have them) where you have plenty of time. Your goal is two-fold: eyeball the prices for items you frequently buy and find the clearance areas. Go up and down every aisle. Look for the things you normally buy and note the prices. Keep your eyes open also for the Manager’s Special clearance areas or other markdown areas. These are often baskets, tables, or shelves that are set apart and have a red and yellow Manager’s Special sign. If you like writing things down, make a map. If you’re like me, make a mental map. This will enable you to get in and out quickly on your weekly trips and also know when you should stock up. I’ll pick up anything on my list that I need from the clearance sections, if possible. I do reverse meal planning, which means I’ll base my weekly meals around the sales I find. (I have tips coming up for planners, because I KNOW that will drive most of you nuts.) 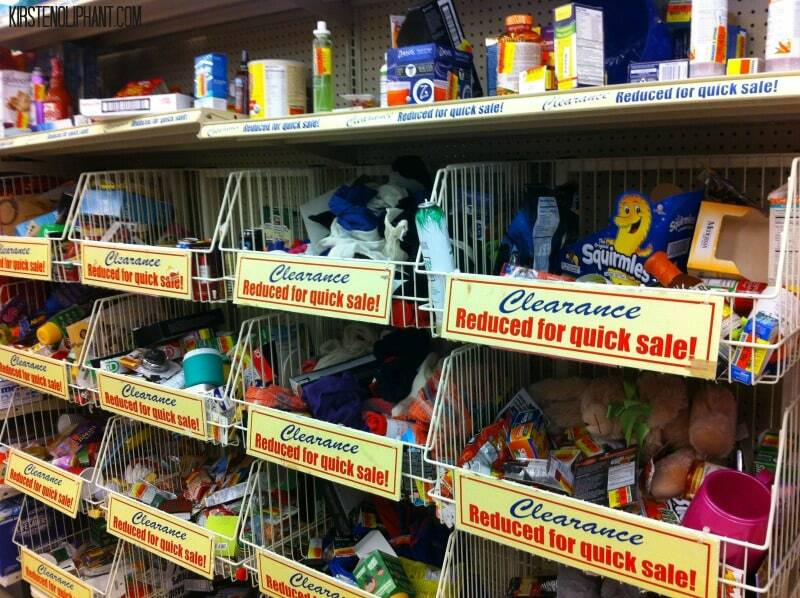 Anything you can’t find on clearance, buy on sale. If something isn’t on sale, I don’t buy it unless absolutely necessary. Stock Up on Good Prices. I know that for a 8oz block of cheese, I want to pay under $2. So whenever it dips below (or if the larger size is on sale), I will buy a few blocks. You can always freeze cheese (and that also rhymes) so it won’t go to waste. 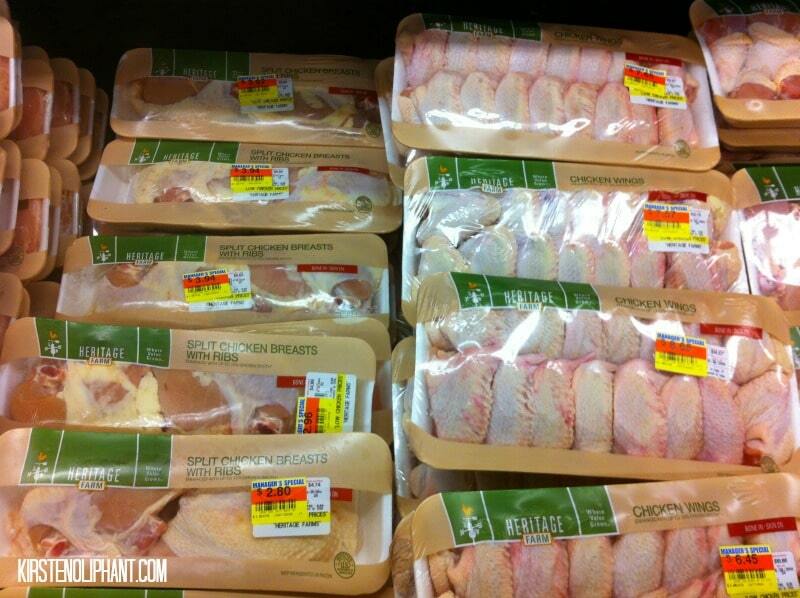 Any time you know you will eat something or can freeze it, stock up when it is on sale. That way, when you are out of cheese and it’s $2.50 per block instead of $1.77, you aren’t wasting money. Those pennies seem small, but they add up! Don’t Buy What You Don’t Need. Each week, I buy more things than I need…for that week. If I don’t need chicken for that week, I can still freeze it and eat it next week. I still consider that a need. If I find a GREAT price on something like markers for the kids or baby formula, I won’t buy them if we have markers at home or if I don’t have a baby using formula. (Though actually that formula would be a great donation to a local charity!) It can be tempting to snag a great deal, but if you don’t need or don’t eat or can’t freeze it, walk away. Look at the Dates! More than one time I have bought milk with a sale price and then realized the date was for the following day. When you’re buying clearance items, always check the dates. Sounds simple, but I even forget. Most of the time, you will be safe. Deli meat gets put on clearance at Kroger 10 days out from the date and it can be frozen. Anything that looks or smells bad (like red meat that’s brown or stinky chicken), leave it there. Check salad and produce for brown spots. Again, sounds obvious, but you don’t want to take chances with clearance! You also want to make sure that the sale is good enough to buy. Keep Your Eyes Open for Bonus Sales. 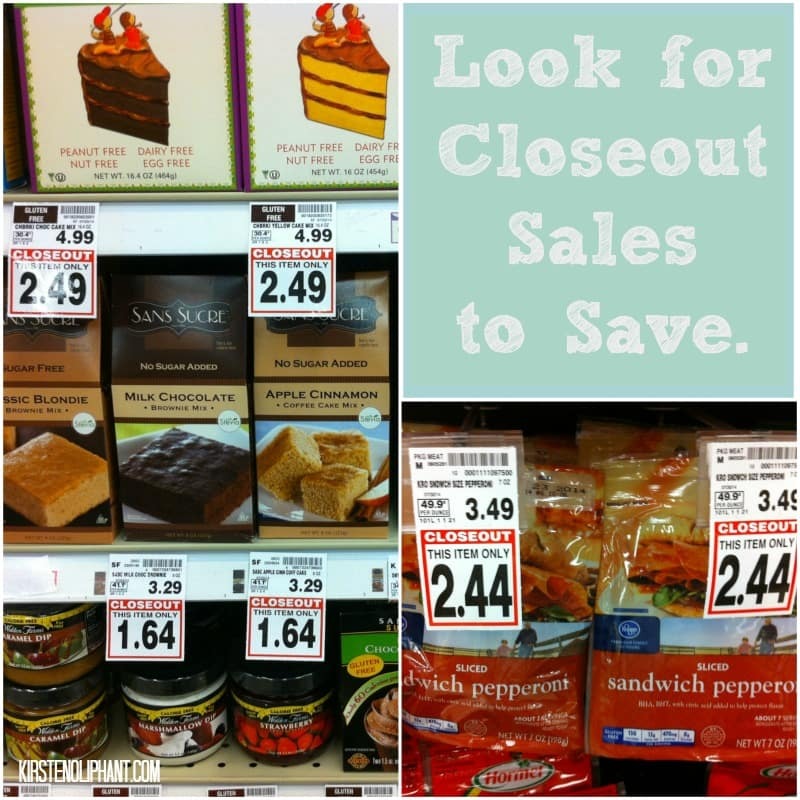 Though there are specific clearance sections for different items, often Kroger will keep items in their place on the shelf, but will stick a yellow and orange clearance sticker on them. This is going to sound totally out there, but I walk through Kroger with my eyes slightly unfocused—kind of the way you might when looking at a Magic Eye drawing. (It also might mean I smash into you with my cart, so watch out!) There are also sometimes white tags with a red outline that will be marked Closeout. Each week, I save money shopping at Kroger this way. Excluding diapers, I spent $80 for our family of six last week. That included fresh fruits and veggies, lots of meat (great sale on chicken! ), breads, cheese, milk, snacks, and much more. That $80 included at least six pounds of frozen meat that will help feed us for weeks to come. It was a good sale week! I know this may not be as small a budget as some big-time couponers have, but I don’t have the time or organization to handle coupons right now. This is fast and easy and saves me a lot more money than shopping even at other low-cost grocery stores. While this is like a fun game to me, I know this can be hard for those of you who really like to plan. My suggestion for you would be to set aside something like $20 from your budget each week to stockpile clearance and sales. With a little cushion on the top of your budget, you can take advantage of those sales but still have your plan and your list. I hate walking away from an amazing deal because I don’t have money that week. Once you have some of those items stockpiled in the freezer, you can menu plan using those items that you bought the weeks before. That helps you keep your cushion to take advantage of whatever sales you see that week in the store, but still have a plan. 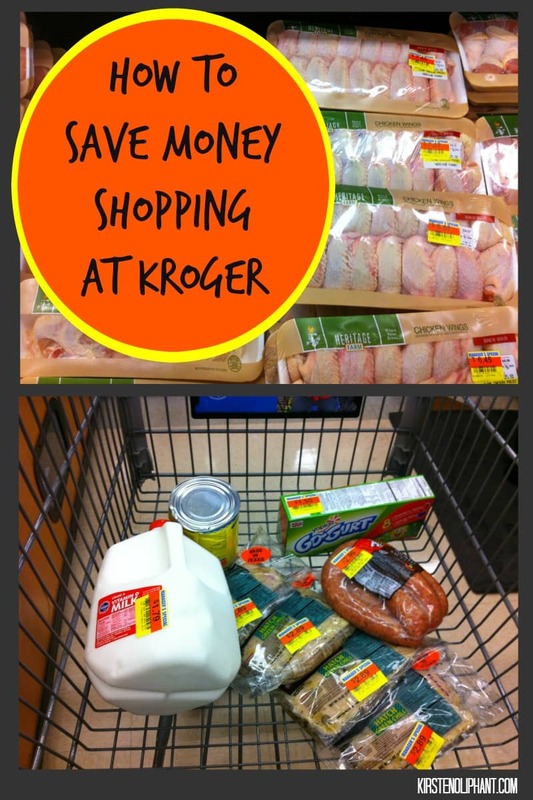 I hope these tips on how to save money shopping at Kroger can help you! I really have found that Kroger is the best with these clearance sections, but every store is different. If you don’t have a Kroger, consider asking your local store where their special markdown areas are or what days of the week they tend to mark items for clearance. Do you have any tips for saving money at the store? What is your favorite store for weekly shopping? I like your post but just wanted to say your Kroger isn’t like ANY that I have seen in terms of amount of markdowns. From the pictures you seem to have no problem finding markdowns on meats, fresh fruit, fresh veggies, and all kinds of other things. The Krogers I have been to all have a SMALL markdown section for meat, a small one for general goods, and then a small to medium sized one for bakery. 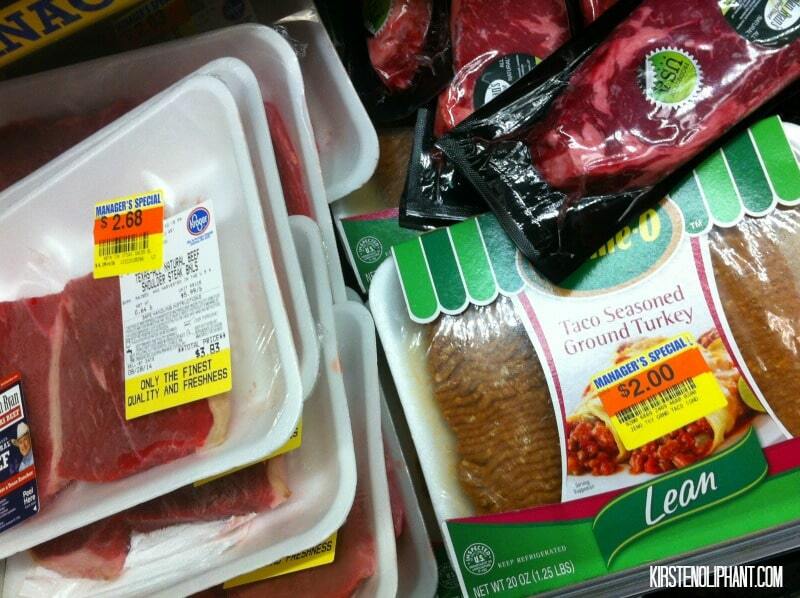 I have NEVER seen actual chicken on markdown just gizzards or livers, and most the time its 80% pork in the meat. Produce other than banana’s is also rare, although I found a different kroger that now has it (1/4). I am SUPER jealous of yours, just wanted you to know that not everyone has this many good deals in theirs! I’m so sorry to hear this! My local Krogers has an ABUNDANCE of markdowns in all departments and I’ve found that the best time to go is around 9:30 mid-week. Thanks for your nice comments about your local Kroger. I shop and work at Kroger and agree that I can finf many great bargains there. I do almost all of my meal planning from the mark downs. Use your app and fuel pts i have my pts comnected to my iwireless phone and get almost free services. Also watch end of season clearance. Many school supplies can morph into Christmas stockings or Easter baskets. Hope this info helps. Several times I have asked the butcher at Kroger why the meat in the reduced section has been MARK-UP, when I thought ‘reduced’ meant marked down! He tore off the old sale price (which was lower than the marked-down price) and said, ” whoever marked it down forgot to take off the sale price!!!! !” So I asked him. . . you mean it was less expensive yesterday (when it was fresh) than it is now when it is outdated? He said , ‘Yes’! Totally a scam! You might THINK you are getting a good deal, BUYER BEWARE! !